The number of Harvard College students selecting a SEAS concentration—applied math, computer science, or one of our engineering tracks—has grown from just under 300 in 2008 to more than 800 today. Rachel Field '12 won silver in the international Acer Incredible Green Contest with her senior thesis project, the Bicyclean, a pedal-powered device that grinds up electronic waste without releasing toxic chemicals into the air and water. 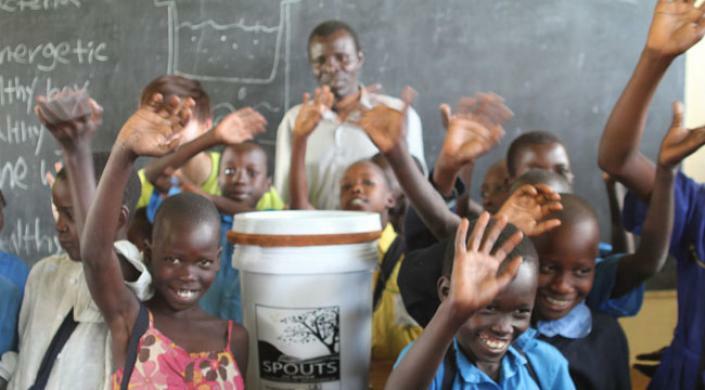 Kathy Ku '13, Suvai Gunasekaran ’13, John Kye ’14 and other Harvard students built a water filter factory in Uganda, where 10 million people—a third of the population—lack access to clean water. 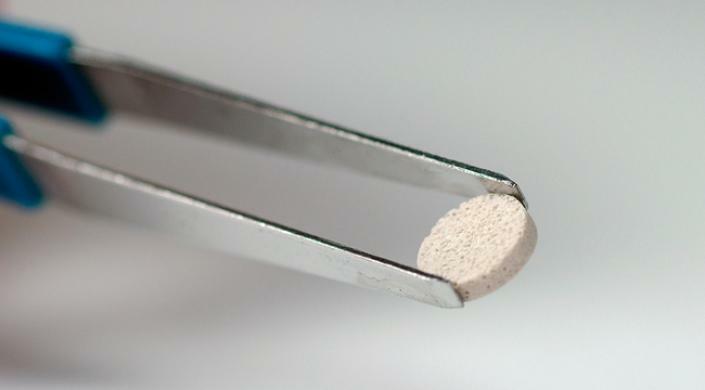 Materials scientists led by Prof. Jennifer Lewis used microscale 3D printing to create lithium-ion batteries the size of a grain of sand. Prof. Cynthia Friend was named director of the Rowland Institute, and Prof. Federico Capasso received the Humboldt Research Award for lifetime achievements. Led by Prof. Joanna Aizenberg, materials scientists continued to develop Slippery Liquid-Infused Porous Surfaces (SLIPS)—the slipperiest synthetic surface known. The next-generation coating can be applied to glass; it is durable and fully transparent. Postdoctoral fellow Finale Doshi-Velez, an expert in probabilistic modeling techniques, was named among "AI's 10 to watch" by IEEE Intelligent Systems. Image courtesy of Ioannis Gkioulekas and Shuang Zhao. Prof. Hanspeter Pfister and Prof. Todd Zickler presented innovative research at SIGGRAPH 2013. Their papers described techniques for creating realistic computer renderings of translucent materials like soap and milk (see image); a new type of screen hardware that displays different images when lit or viewed from different directions; and a new way to automate color grading in amateur film production. Postdoctoral fellow Mark Brigham, working with researchers at the Broad Institute, invented a new technique for controlling genes with light. The "Watermark Ink" chip, a small device that can instantly identify any liquid, won an R&D 100 Award. Prof. Daniel Jacob, graduate student Helen Amos, and HSPH Prof. Elsie Sunderland published evidence that significant reductions in mercury emissions will be necessary just to stabilize current levels of the toxic element in the environment. Graduate student Antony Orth and Prof. Kenneth Crozier developed a way for photographers and microscopists to computationally create a 3D image through a single lens, without moving the camera. Data from the HIAPER Pole-to-Pole Observations (HIPPO) project led by Prof. Steven C. Wofsy revealed that seasonal fluctuations in carbon dioxide are becoming more extreme. Dean Cherry A. Murray was appointed to the U.S. Secretary of Energy Advisory Board. 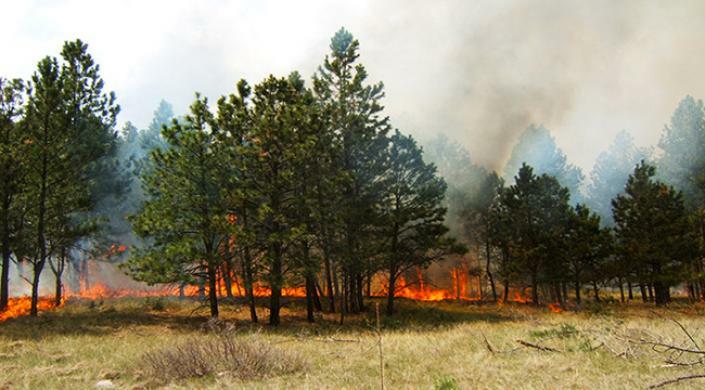 Research by Jennifer Logan, Loretta Mickley, and other environmental scientists at SEAS projected that climate change will lead to more damaging and dangerous wildfires in the United States by 2050. 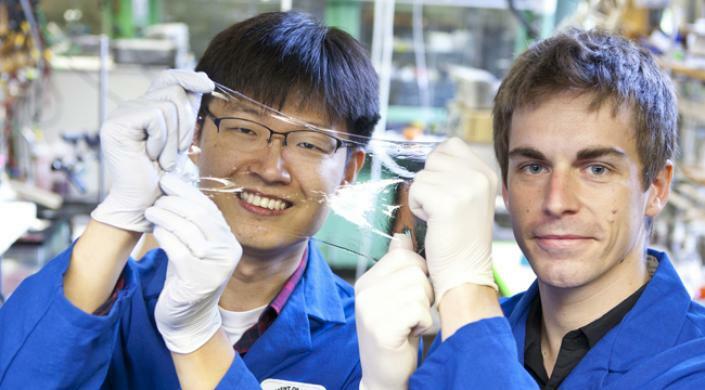 Engineers led by Prof. Zhigang Suo and Prof. George Whitesides created a transparent, stretchy speaker that plays music. The device demonstrates that electrical charges carried by ions, rather than electrons, can be put to meaningful use in fast-moving, high-voltage, biocompatible devices. FAS postdocs. Photo by Jon Chase. An implantable cancer vaccine, created at Harvard University and Dana-Farber Cancer Institute by Prof. David Mooney and collaborators, entered Phase I clinical trials. Harvard celebrated National Postdoc Appreciation Week. The National Science Foundation announced that a new Center for Integrated Quantum Materials, based at SEAS, will receive up to $20 million over five years to explore the unique electronic behavior of quantum materials. Mathematicians and biologists at SEAS and Harvard Medical School, including Prof. L. Mahadevan, discovered some common principles that guide the growth of intestinal structures called villi in chickens, frogs, mice, and snakes. The first class of students in the recently launched Master of Science in Computational Science & Engineering degree program arrived, aiming to improve security, finance, medicine, and more. 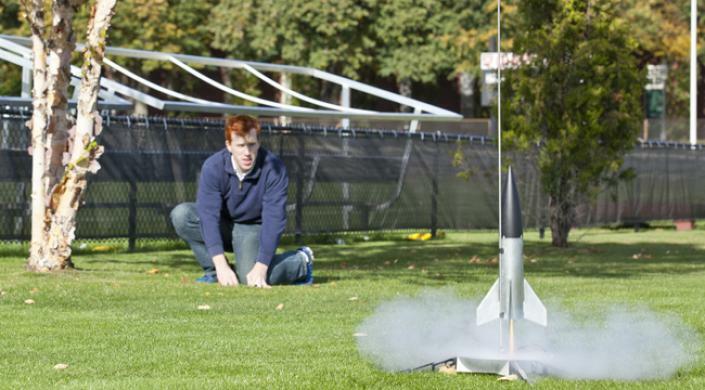 Harvard launched the Campaign for Arts and Sciences. SEAS aims to raise $450 million to increase the size of its world-class faculty; create modern instructional spaces for teaching, hands-on design, and laboratory research; invest in innovation funds for cutting-edge, high-impact research; and support talented students through graduate fellowships. A biomedical study showed that hypertension drugs could improve the outcome of cancer chemotherapy by opening up collapsed blood vessels in solid tumors. Vikash P. Chauhan S.M. '08, Ph.D. '12 was co-lead author of the paper in Nature Communications. Prof. Hanspeter Pfister was named director of the Institute for Applied Computational Science, and SEAS announced the creation of a new Master of Engineering degree in Computational Science and Engineering. Prof. Rob Howe at the Northeast Robotics Colloquium. Photo by Eliza Grinnell. 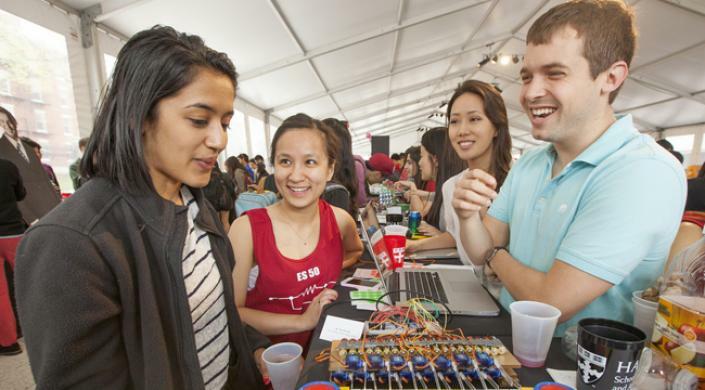 Harvard hosted the Northeast Robotics Colloquium, a festival of engineering and biomedical innovation. Environmental scientists led by Prof. Daniel Jacob found that 38 U.S. national parks are experiencing “accidental fertilization” (from ammonia emissions) at or above a critical threshold for ecological damage. Computer scientists at Harvard and cognitive scientists at MIT teamed up to settle a debate over "chart junk." Prof. David Mooney was elected to the Institute of Medicine. A new software tool for creating multi-attribute rankings, developed by postdoctoral researcher Alexander Lex and collaborators, won the "best paper" award at IEEE's InfoVis conference. Applied physicists led by Prof. Federico Capasso created a new coating that intrinsically conceals its own temperature to thermal cameras. Research by Prof. L. Mahadevan explained how bloodthirsty ticks use a ratchet-like appendage and motions like a swimmer's breaststroke to puncture and latch on to their hosts' skin. Sophomores in Harvard College declared their concentrations. 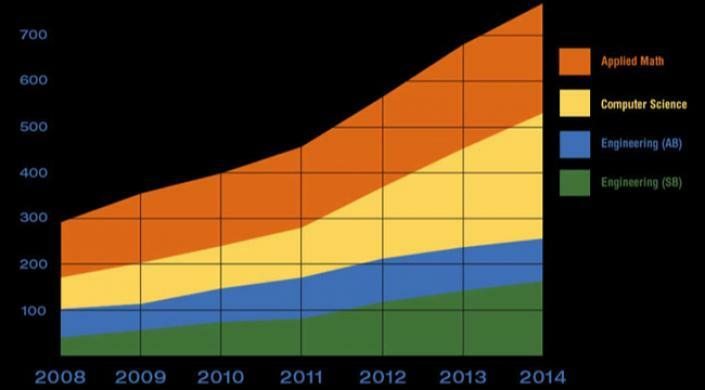 The total number of undergraduates selecting a SEAS concentration—applied math, computer science, or one of our engineering tracks—has grown from just under 300 in 2008 to more than 800 today. A multi-institutional study led by graduate student Scot Miller and Prof. Steven Wofsy demonstrated that U.S. methane emissions far exceed the estimates of the U.S. Environmental Protection Agency. Materials scientists led by Prof. Shriram Ramanathan created a new type of transistor that mimics the behavior of a synapse. The device simultaneously modulates the flow of information in a circuit and physically adapts to changing signals. Nikhil Mehandru ’15, Alydaar Rangwala ’15, Aaron Perez ’15, and Brandon Sim ’15 invented a chemotherapy patch and won second place in the national Collegiate Inventors Competition. Prof. Ryan Adams contributed machine learning techniques to a joint UCLA-Harvard study that analyses the cells in pleural fluid for signs of cancer. Prof. Vahid Tarokh received an honorary doctorate from Concordia University in Montreal, a recognition of his contributions to wireless communication technology. Prof. Jennifer A. Lewis and her research team received the Academic R&D Award at the IDTechEx Printed Electronics USA 2013 conference for the "innovation, success, and development" of a tiny 3D-printed battery. SEAS Dean Cherry A. Murray and Mohsen Mostafavi, dean of the Harvard Graduate School of Design, launched the Deans' Design Challenge: Urban Life 2030, calling for creative solutions to challenges relating to responsive cities, urban metabolisms, aging in place, and the future of consumption. The CS 50 Fair. Photo by Jon Chase, Harvard Staff Photographer. Computer science concentrator Brandon Liu '14 was named a Marshall Scholar. Prof. Donald Ingber, former postdoc Otger Campàs, Prof. David Weitz, Prof. L. Mahadevan, Daniel O'Connell (Ph.D. '11), Ashley Bischof (Ph.D. '13) and others at Harvard devised the first method to measure tiny forces—tugs and nudges—in three-dimensional tissues and living embryos. Crowds flocked to the CS 50 Fair, an epic display of final projects in the introductory programming course (see photo). Prof. David Edwards was elected to the National Academy of Inventors, and Prof. Greg Morrisett was elected a fellow of the Association for Computing Machinery. The annual SEAS Holiday Lecture engaged children in the magic of discovery. Engineering students from the University of Sao Paolo, Brazil, visited Harvard for a two-week cooperative program on Urban Adaptation to Climate Change. SEAS hosted ComputeFest 2014, featuring workshops on computing tools and techniques, talks by entrepreneurs in computational science, and a student competition. At a symposium titled “Weathering the Data Storm," experts from academia and industry debated the promise and challenges of data science. Graduate students Chong Guo & Lihua Jin learn new skills in January. Photo by Eliza Grinnell. Students on campus for January@SEAS learned new hands-on skills like rapid prototyping, circuitry, and welding. 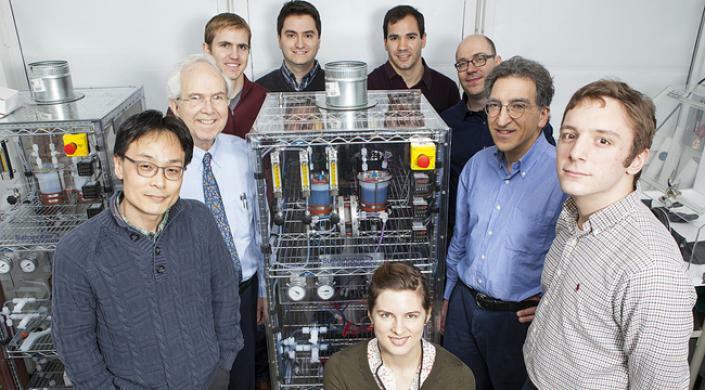 Harvard professors Michael J. Aziz, Roy G. Gordon, and Alan Aspuru-Guzik demontrated a new type of flow battery that uses small organic molecules instead of expensive metals. Intended to store energy generated at wind and solar farms, it could help renewable energy become more economically viable. Applied physicists and biologists including Prof. Evelyn Hu and Prof. Kevin Kit Parker described the structure and function of photonic elements in cuttlefish skin, explaining how the "chameleon of the sea" changes color with such speed and versatility. Prof. Joanna Aizenberg's lab successfully applied the SLIPS coating to fabrics. A new study by Prof. Maurice Smith and collaborators suggested that variability in motor function is a key feature of the nervous system, helping us learn more quickly. Prof. Radhika Nagpal and her research team demonstrated an autonomous group of termite-inspired robots (below) that can build complex structures as a team, without detailed instructions. 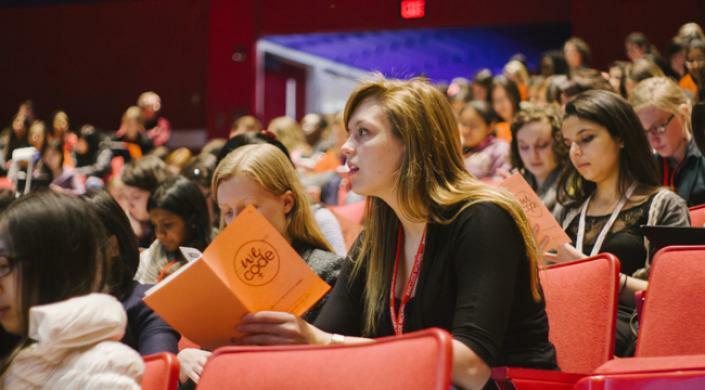 Harvard Women in Computer Science organized and hosted the Women Engineers Code conference, drawing some of the most successful women working in computer science together with female CS students from across the country. Prof. Jennifer Lewis, with a team of SEAS students and researchers, created new "bio-inks" for 3D printers, and produced intricate tissue constructs containing multiple types of cells and tiny blood vessels. Prof. Conor Walsh and members of the Harvard Biodesign Lab demonstrated a soft artificial muscle that mimics the twisting, pumping motion of the heart. Prof. Vinothan Manoharan, Prof. David Nelson, and postdoctoral fellow Guangnan Meng discovered that curved surfaces can dramatically alter the shape of crystals as they form. The Department of Energy launched a new two-year field study in the Amazon Basin. Led by Prof. Scot Martin, the GOAmazon project will study and model tropical climate processes within a systems context. Prof. Katia Bertoldi was selected to receive the 2014 Hughes Young Investigator Award from the American Society of Mechanical Engineers, and Prof. Stephen Chong was named a 2014 Alfred P. Sloan Research Fellow. Ten years ago this month, Kirkland House sophomore Mark Zuckerberg and a group of fellow students created The Facebook. The TERMES robots. Photo by Eliza Grinnell. Prof. Vinothan Manoharan, other Harvard researchers, and collaborators in Korea created a photonic ink that produces vibrant colors without the use of pigments. Applied physicists led by Prof. Federico Capasso demonstrated that a device that would harvest energy from Earth’s infrared emissions into outer space is thermodynamically possible. 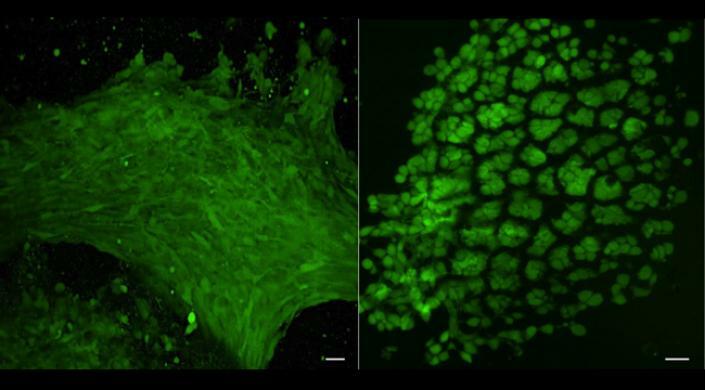 Researchers at SEAS, the Wyss Institute, and Boston Children's Hospital created a gel that promotes tooth tissue formation as it shrinks. Prof. Jelani Nelson received the National Science Foundation's Faculty Early Career Development Award, and Prof. John Briscoe received the Stockholm Water Prize. Prof. Katia Bertoldi and Prof. David Clarke characterized a new shape: the hemihelix (see below). Prof. David Mooney was honored with the Capers and Marion McDonald Award for Excellence in Mentoring and Advising. The Society of American Military Engineers recognized Alec DeLaney '14 with the 2014 Colonel and Mrs. S. S. Dennis, III Scholarship in recognition of his hard work and dedication to research. 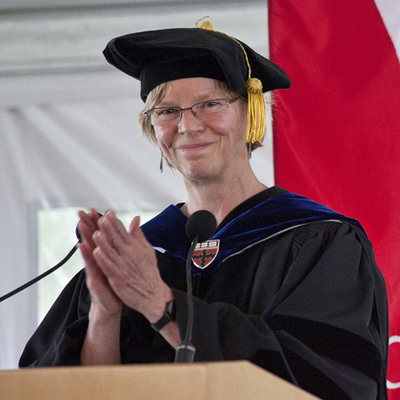 Prof. Joanna Aizenberg and Prof. Michael Brenner were elected to the American Academy of Arts and Sciences. 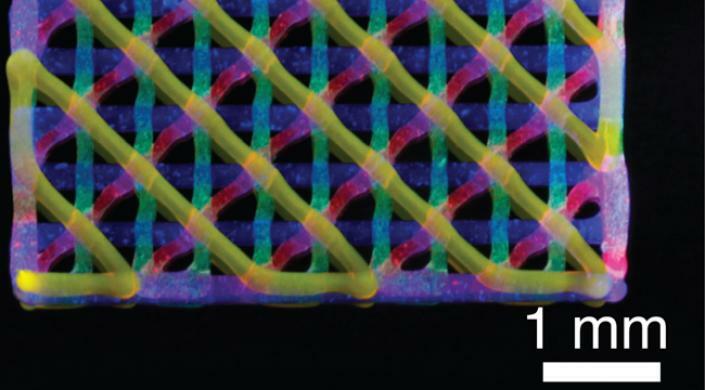 Prof. Jennifer Lewis' novel microscale 3D-printing techniques were named among "10 Breakthrough Technologies" in Technology Review magazine. The Experiment Fund celebrated two successful years in Cambridge. Hemihelixes. Image courtesy of Jiangshui Huang. The Air Force Office of Scientific Research sponsored a $6.5 million research effort, led by Prof. Federico Capasso at SEAS, to study the use of metasurfaces in advanced optical technology. The SEAS Design & Project Fair showcased hundreds of students' creative projects, prototypes, and problem-solving devices. Prof. Robert J. Wood was named a National Geographic Emerging Explorer, and Prof. Eric Mazur received the Minerva Prize for Advancements in Higher Education. 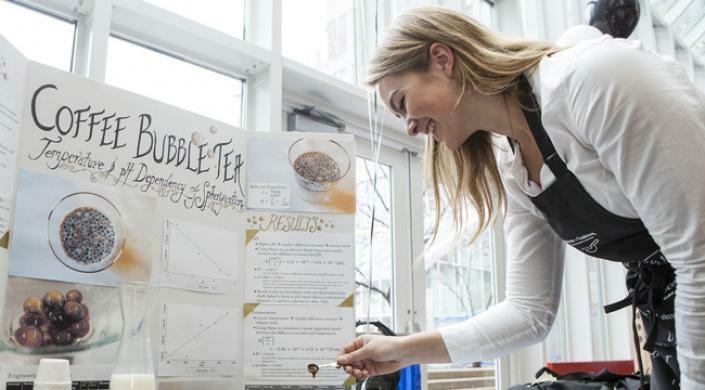 Harvard hosted the Cambridge Eighth-Grade Science Fair, inviting young students to imagine themselves on a university campus, making a difference through science and engineering. 2013-14 was filled with bold discoveries, creations, and experiences.